On July 13, 2001 I had experienced a Myocardial Infarction (MI), more commonly known as a heart attack. My critical LAD artery (also known as the widow maker artery) contained a blockage of over 90%. A blood clot was unable to navigate its way through it. 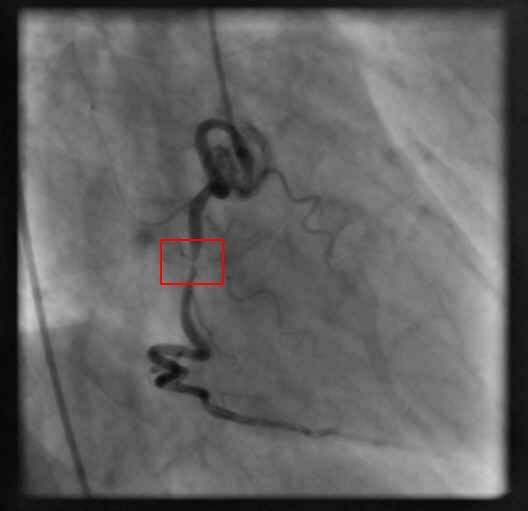 In addition to the major blockage in my LAD, my Second Margina was blocked 50-70% and my RCA mid showed light blockage. The dedicated Cardiology Department at Hadassah Hospital in Jerusalem did a fantastic job on me; an angiogram, angioplasty (ballooning) and PCI (stent insertion) to the LAD were performed. On July 20, 2001 I was released from the hospital with my new stent in place and a long list of prescription medications to take, including a cholesterol lowering statin. "Patients perceived that physicians failed to appreciate the impact of the statin adverse effects on their quality of life. Statements attributed to physicians by many patients included: denial of existence of any statin adverse effects, denial of specific statin adverse effects (muscle, memory, neuropathy), attribution of symptoms to age, attribution of symptoms to "imagination", and dismissal of the importance of symptoms. By the middle of 2003, I had learned that the medical world is not at all unanimous in blaming cholesterol levels in the blood as the major cause of heart disease (known as the lipid hypothesis). I became aware of a growing movement of doctors and research scientists led by Dr. Uffe Ravnskov, who have unequivocally substantiated that cholesterol is not the cause of heart disease. His classic book "The Cholesterol Myths" to me was truly revolutionary. I discontinued the Statins in mid 2003 after suffering from statin induced side effects for 2 years . Worrying about cholesterol levels was no longer a part of my agenda. I also made life style changes accordingly. It was on this background that I wrote "Surviving a Successful Heart Attack", first released in 2004. The implantation of the stent in a blocked artery is known medically as PCI (Percutaneous Coronary Intervention). The development of this process was an incredible achievement of technology. Just think about it. Someone arrives to the emergency room in the midst of a heart attack. A blockage is identified in an angiogram, angioplasty (ballooning) is performed, and a stent is implanted (PCI) in the problem area to keep the artery open. Next morning, the patient is on his feet; and within another day or 2 he/she starts the return to a normal routine. Stenting is a tremendous short term fix - but for how long? For all of its wonder, the stent remains a foreign entity implanted into a critically delicate part of the body. The body's defensive mechanisms are not equipped to realize that the foreign stent is implanted as a life saving endeavor. The nightmare of cardiologists performing PCI is the eventual blockage of the stent, a process known as restenosis. Restenosis literally means the reoccurrence of stenosis, which is an abnormal narrowing in a blood vessel. Stenting, as it turns out, is not a long term trouble free solution. In many cases, stenting needs to be redone/reopened every 1-4 years3. If you missed that the first time, I'll say it again. Every 1 - 4 years! What are the consequences when total restenosis occurs suddenly? If you are lucky and happen to be at a hospital, an emergency bypass operation may be in order. Many other scenarios, unfortunately resulted in sudden death. an angiogram following annual routine testing determined that the stent in my critical LAD artery was blocked up 100% - 100% restenosis, a condition known as Chronic Total Occlusion! No, I was not experiencing chest discomfort. No, I did not have another heart attack. No, I was not disabled with heart failure. No, I did not have a stroke. No, I did not experience sudden death. Not only that, a bypass operation to circumvent the blocked artery was not performed. My changing lifestyle over the last several years had promoted the generation and development of alternative blood vessels circumventing my blocked artery. A comparison of the May, 2001 (heart attack) angiogram with the angiogram done in January, 2007 showed that besides the blockage in the stent and the existing heart disease, there was no further deterioration in the condition of my cardiovascular system! 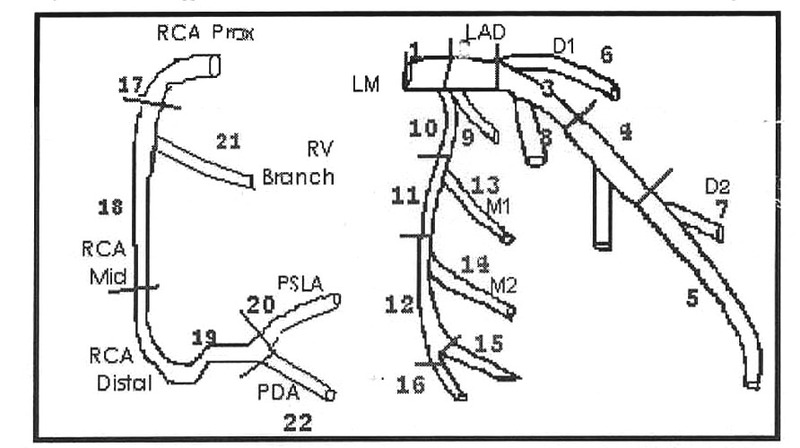 An angiogram indicated that the existing partial blockages in my Second Margina and RCA mid (both first discovered in 2001) had deteriorated and required intervention. 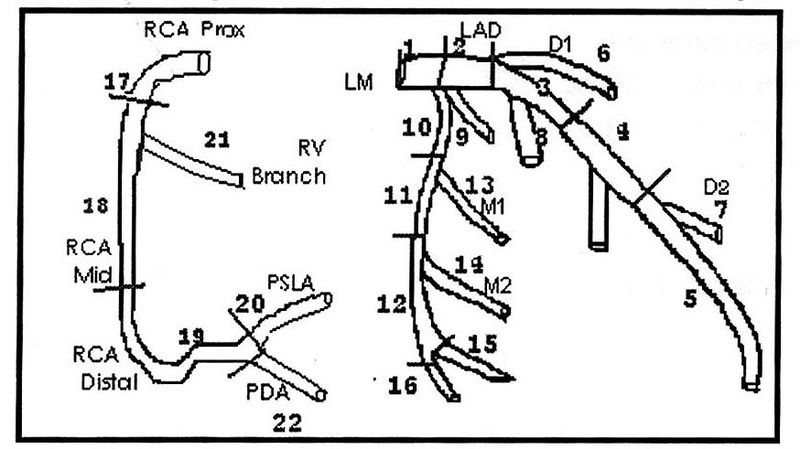 A triple bypass (which included the totally blocked LAD stent proximity from 2007) was performed. Although the reasons for the deterioration in my existing heart disease over the years can be debated, I have been leading a very full and active life without sacrificing documented quality of life statin induced side effects. Despite the exisiting heart desease, my new life style has prevented new heart disease from developing. In my particular case, would industry accepted statin dosages have prevented deterioration in my existing heart disease condition? No one can really answer that definitively. The medical literature is full of examples of reoccuring heart attacks in patients who were still using statin medication3. In "Chronic Total Occlusion: After the Heart Attack, the Statins and Restenosis" (previously released in 2007 as The Next 20,000), I explain and substantiate the life style changes that I have adapted that prevented new heart disease from developing and allowed me to enjoy a full life despite the 100% blockage to my LAD. Still Controversial, but Still SURVIVING! Do the Cardiological Benefits of Statins Outweigh Their Negative Side Effects? Recent medical studies are recommending lowering existing LDL cholesterol levels for post heart attack patients to levels significantly lower than the ceiling of 100 mg/dL that has been in effect until now. Many people taking statins to meet the existing goal of 100 already feel that the quality of their lives has reached zero. Mike Stone survived his heart attack with flying colors, but surviving the statins was a different matter altogether. This is his story; why he discontinued taking the statins, what convinced him that it was NOT the cholesterol that caused his heart attack, and where he is today, several years later. In "Surviving a Successful Heart Attack", Mike Stone describes the massive disruptions in his professional and personal life, and his own futile attempts to climb out of the mental/emotional abyss that he had somehow stumbled into. Anyone who has had a heart attack or fears one in the future will want to read Mike Stone's harrowing experience in post heart attack life and his own conclusions (contradicting many of today's accepted cardiological doctrines) as to what really caused his own heart attack. Well referenced. Chronic Total Occlusion: After the Heart Attack, the Statins and Restenosis. Why a 2-in-1 book? Aren't they both independent entities? On the one hand, they are. They can be purchased separately. On the other hand, each one is incomplete. They compliment each other; they convey the whole story. Surviving a Successful Heart Attack (SASHA), first published in 2004, covers a more naive period of my life. Good health was something to be taken for granted, heart attacks were only for fat people or smokers, cholesterol was that bogey substance to be minimized at all costs, and terms such as 'stent' and 'statins' were not part of my vocabulary. Heart attacks happen to other people, not to non-smoking normal weight people as myself, until reality strikes -- HEART ATTACK! And then the real reality; the physical recovery from the heart attack was nothing when compared to the recovery from the statins, which so disrupted my professional and personal life. SASHA also covers the period of my life when cholesterol transformed from foe to … not foe. It covers the period of discovering that my first 50 years of personal dietary guidelines were based on mass-media advertising, huge corporations, and worst of all, bad science. It ends with me standing on both feet, after recuperating from both the physical heart attack and the statin-induced side effects; however, what next - to what direction? Chronic Total Occlusion (previously The Next 20,000, first published in 2007), is that new direction. To the casual reader, the lifestyle changes I have made may be construed as radical, eccentric. That is what makes Chronic Total Occlusion incomplete. Without experiencing the emotional scars described in SASHA that have remained following those two statin-induced side effect years, the reader of 'CTO' will not be able to appreciate a lifestyle (exercise and troficide5 prevention) I now accept as totally normal. 5 Stone M. Chronic Total Occlusion, Chapter 19: Troficide is the systematic nutritional killing or maiming of humans regardless of national, ethnic, racial or religious group, as such: Killing members of the group; Causing serious bodily or mental harm to members of the group; Deliberately inflicting on the group conditions of life calculated to bring about its physical destruction in whole or in part; and forcibly transferring children from their mothers’ breasts.